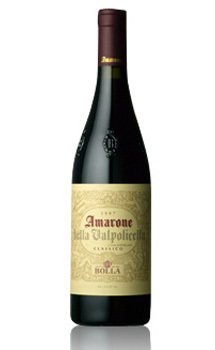 Amarone is a wine varietal that has increased in popularity over recent years. There are several reasons that have made it earn the popularity. Lovers of dry, full bodied red wine have flocked to Amarone to tame their taste for dry wine. It is a blend of three different types of grapes namely Rondinella, Corvina and Molinara, which are first dried for a period of four months before being processed to make this beautiful wine. This wine’s origins come from Italy, the place where it also earned its name. Amarone means ‘Great Bitter’ which sets it apart from other wines of similar origin from the same region. Other regional wines like Recioto, have a much sweeter profile when compared with Amarone’s dry, low acid flavor profile. Amarone Wine: What Does The Process Entail? Grape harvesting is done with great skill, because it involves selecting grapes which are well aerated. Normally harvested in October, these grapes are then left to dry spread out on mats made of straw. The traditional drying process takes approximately four months to dry and earn the winemaker’s approval. Drying of the grapes is done with the purpose of removing the water from the grapes. The results are dried grapes with high amount of sugars and flavors. One risk associated with this method of drying is that there is a likely hood of the grapes being attacked by a fungus. Another method of producing Amarone involves the use of special rooms for drying grapes as opposed to the traditional straw mat method. The conditions in this special room are made favorable for the grapes to dry without requiring the handling needed with traditional methods. This modern method of drying has been effective at preventing the problem of fungal attack that is quite common in traditionally dried grapes. The quality of the wine in terms of tannins, color and the strength of the flavor is determined by the quality of the skin present on the grapes. Drying the grapes prior to processing increases the contact with the skin helping to produce enhanced flavors. The grapes are then pressed and fermented for a period of one month to one and a half months. After the fermentation period is over, the wine is not yet ready. Amarone is then stored in special containers called barriques which are made from special kinds of oak. In order to make different varieties of Amarone wine, fermentation is carried out for a shorter time than usual. This wine is sweet and is given the name Recioto Della Valpolicella.Another type of wine is made from valpolicella wine. This wine is mixed with the lees of the Amarone together with the skin of grapes. Due to the second fermentation that occurs in valpolicella coupled with the high quantity of sugar in the lees, the product of this fermentation is a wine which has more tannin, is darker in color and has a higher alcoholic content of more than 15%. This wine is then kept for about five to ten years. One of the best variation of Amarone wine in the market today is Amarone Della Valpolicella Classico Camporeale.Most people prefer taking this full bodied, red, dry Italian wine with white meat such as duck and for those who don’t love white meat, they take it with lamb or steak.